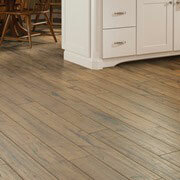 Replacing flooring can seem like a stressful endeavor, but it doesn’t have to be. ProSource® of Little Rock eases the process by offering low, wholesale prices on high-quality flooring options for any remodel. Whether you are looking for carpet, hardwood, laminate, tile, or vinyl flooring, our showroom has a pattern, style, or finish that is as appealing to the eye as it is to the wallet. When your project calls for new carpet flooring, it’s best to partner with the experts. 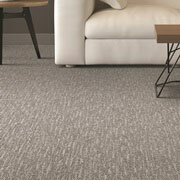 Choose from berber, frieze, loop and more—all in a assortment of colors and patterns, if so desired. You are sure to find a carpet for any home’s decor. The addition of hardwood flooring into a home creates a refined, dignified feeling to any living space. 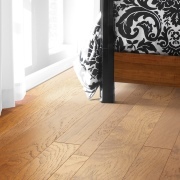 Hardwood can provide a traditional look or a modern appeal. From engineered to solid, and acacia to walnut, we have a wood for any design taste. By using laminate, you can achieve the beauty of premium hardwood, stone, and tile floors without paying a premium price. 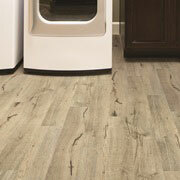 ProSource offers laminate flooring that is durable and affordable. One of the most popular options for bathrooms and kitchens, tile flooring can be a great addition to many of the rooms in a home. Decorative ceramic, glass, and porcelain tiles—that work as well on the wall as they do on the floor--are long-lasting and low-maintenance. The immense versatility of vinyl flooring--luxury vinyl tile (LVT), luxury vinyl plank (LVP), engineered stone and sheet vinyl-- is only matched by its spectacular visuals. 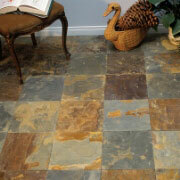 Vinyl is available in a swath of styles and patterns, lending homes the elegant appearance of hardwood, tile or stone. We proudly serve Little Rock, Arkansas, and the surrounding areas. The ProSource of Little Rock showroom is conveniently located in North Little Rock, Arkansas and serves all of the neighboring cities including Adona, Alexander, Altheimer, Amity, Arkadelphia, Atkins, Austin, Bauxite, Bee Branch, Beebe, Benton, Bigelow, Biscoe, Bismarck, Bonnerdale, Bryant, Cabot, Carlisle, Carthage, Casa, Center Ridge, Centerville, Choctaw, Cleveland, College Station, Conway, Coy, Damascus, Dardanelle, De Valls Bluff, Donaldson, Dover, El Paso, England, Enola, Friendship, Garner, Grady, Grapevine, Greenbrier, Griffithville, Guy, Hattieville, Hazen, Hector, Hensley, Hickory Plains, Higginson, Hot Springs National Park, Hot Springs Village, Houston, Humnoke, Humphrey, Ivan, Jacksonville, Jefferson, Jerusalem, Jessieville, Jones Mill, Keo, Kingsland, Leola, Letona, Little Rock, Little Rock Air Force Base, London, Lonoke, Lonsdale, Mabelvale, Malvern, Maumelle, Mayflower, Mc Rae, Menifee, Morrilton, Moscow, Mount Ida, Mount Vernon, Mountain Pine, North Little Rock, Ola, Paron, Pearcy, Perry, Perryville, Pine Bluff, Plainview, Plumerville, Pottsville, Poyen, Prattsville, Quitman, Redfield, Rison, Roland, Romance, Rose Bud, Rover, Royal, Russellville, Scotland, Scott, Searcy, Sheridan, Sherrill, Sherwood, Solgohachia, Sparkman, Springfield, Stuttgart, Sweet Home, Traskwood, Tucker, Ulm, Vilonia, Wabbaseka, Ward, West Point, White Hall, Woodson, Wooster, Wright and Wrightsville.